The head of Britain's top business lobby group says the country's car industry could be wiped out by Brexit. "There is a risk that the auto industry in the UK faces extinction if there's no customs union after Brexit," warned Paul Drechsler, president of the Confederation of British Industry (CBI). Britain is set to leave the European Union at the end of March 2019, but the UK government has not made clear how trade will be conducted with the country's biggest export market. One of the largest outstanding issues is how goods will be treated when they cross the new border. Britain is currently a member of the European Union's customs union, which enables its 28 member states to function as a single trading area with no tariffs or border checks. What comes next is unclear. UK Prime Minister Theresa May has ruled out a future customs union, and is considering alternatives. But the leading proposals have been dismissed by Brussels or rely on new technologies that critics say don't yet exist. "If we do not have a customs union, there are sectors of manufacturing society in the UK which risk becoming extinct," said Drechsler. "That is the reality." Experts say the lack of progress over Brexit and ever tighter deadlines are worrying investors and business executives. "We still haven't got clarity about the future direction [of Brexit] at a level of detail that matters for investment. Yes, we've got great speeches. But what matters in business is the detail," said Drechsler. Drechsler's comments were first reported by the BBC and confirmed by CNNMoney. The UK auto manufacturing sector employs over 800,000 workers and depends upon a complicated supply chain for shipping parts and cars. Foreign automakers including BMW (BMWYY), Toyota (TM), Nissan (NSANF) and Honda (HMC) have big factories in the United Kingdom. Ford (F) also makes engines at two plants. About 45% of the cars made in Britain are exported to the European Union. A car being built at the Nissan plant in Sunderland. The auto industry is also sounding the alarm. 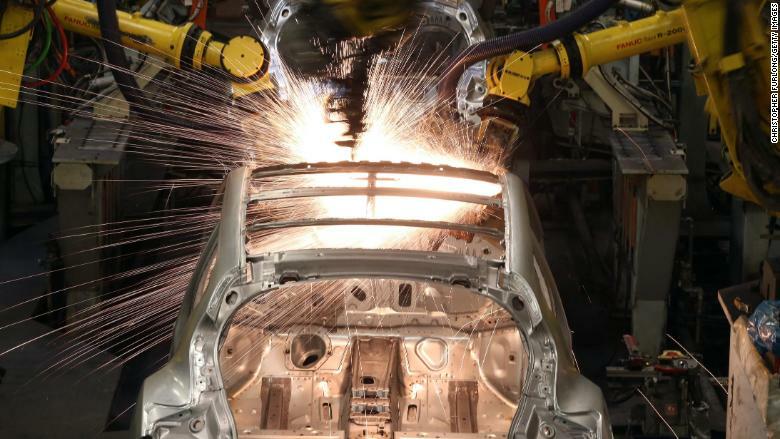 "Free and frictionless trade with the EU has been the foundation of the UK automotive industry's recent success," the Society of Motor Manufacturers and Traders (SMMT) said in a statement. 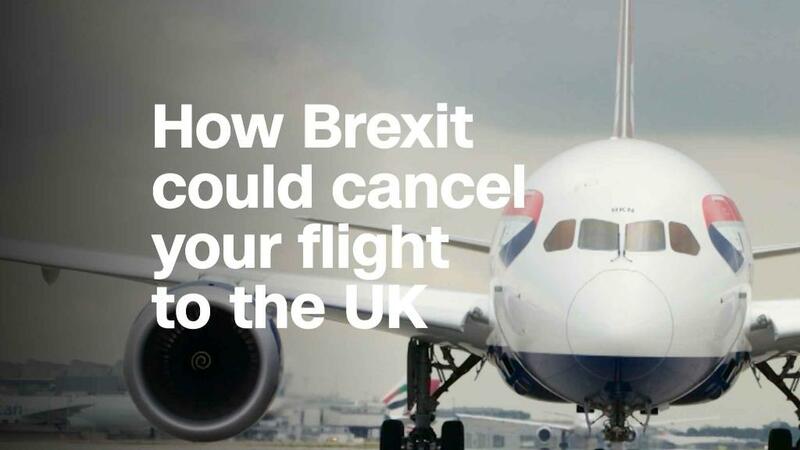 It warned of "major disruptions to vehicle manufacturers and their supply chains" if the United Kingdom fails to replicate the current trading system with the European Union after Brexit. In February, a delegation of top Japanese executives met with May to warn that big Japanese companies -- and others -- would have to quit the United Kingdom if trade barriers after Brexit wipe out their profit margins. On Monday, Jaguar Land Rover said it would move production of its Discovery model to EU member Slovakia. The company said in April that it would cut 1,000 UK jobs. Jaguar Land Rover -- which is owned by India's Tata Motors (TTM) -- said that investments in other UK plants showed it was still committed to Britain. Investment in the UK auto sector fell by 34% in 2017 to £1.1 billion ($1.5 billion), according to the SMMT. Drechsler said that slowing investment has become a widespread problem. "Every single day in my job at the CBI, I'm aware of decisions ... about delays, about deferrals" in investment, Drechsler said.